Jasper is a 10 year old Thoroughbred who's a son of Smarty Jones. 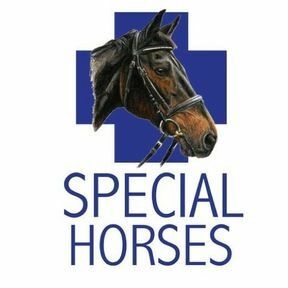 He was rescued by SJHR when he was only 24 months old, but he was already crippled with arthritis from too-early racing training. He was stuck in a 24 square foot paddock with two feet of manure, and the manure was frozen to his body. His poor hooves were curled up like elf shoes. Sadly, he also had a serious back injury, likely from flipping on the track. Jasper would like a warm, insulated turnout blanket in a size 74 or 76 like the SmartPak WeatherBeeta ComFiTec Plus Dynamic Turnout Blanket, which has a memory foam wither relief pad. The blanket costs $150. Chiropractic sessions are $100. 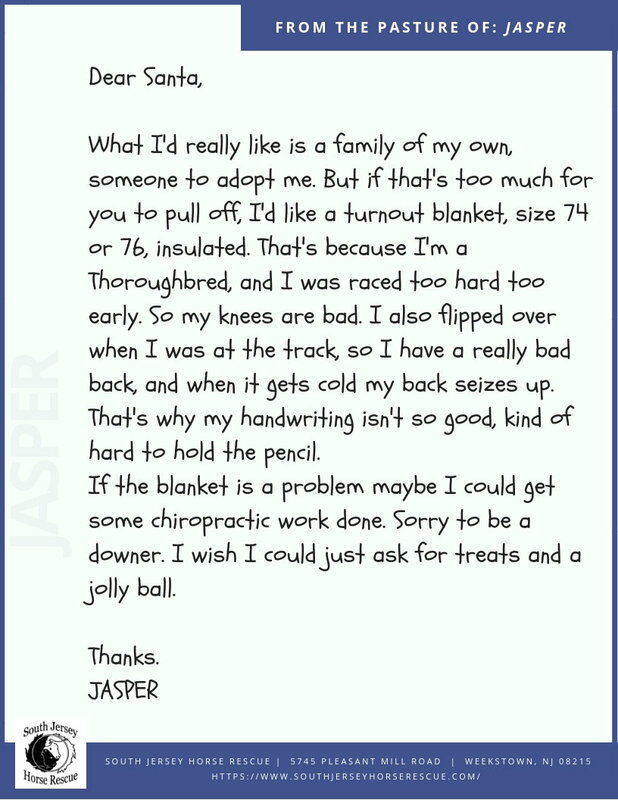 THANK YOU SO MUCH TO MARSHA G. for purchasing a brand new blanket for Jasper! And thank you to Michele A., Renee M., Suzanne B., Irene J., Jean R, Bonny O., Emily W. and Janie M. for getting Jasper his chiropractic! Here is Jasper in his new blanket!! !